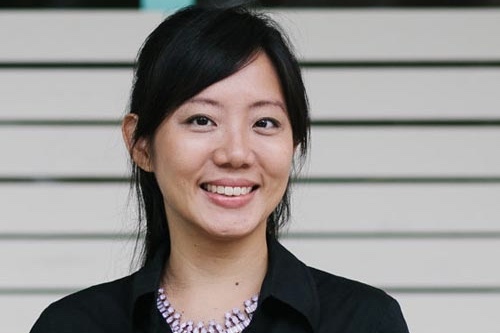 Wahyuni Hadi is the Executive Director of the recently concluded Singapore International Film Festival (23 Nov – 3 Dec 2017). She is also a contributor to the book 25: Histories and Memories of the Singapore International Film Festival. She has been involved with films in many capacities: as editor of a book, as producer, as the creator of a short film competition. We asked her if she would answer a few questions for us, about SGIFF in general, and the 2017 edition of the festival in particular, as well as talking about her personal connection to cinema. She was more than happy to engage with us. You mentioned in an interview that you discovered SGIFF when you were 16. When did you first become a part of the festival? How has your association with it grown over the years? Yes, I discovered SGIFF when I was 16 and there was no looking back after that. Like many, I started out as an audience member in my teens. In my early 20s, I worked with the festival to present projects, when I was at the Singapore Film Commission and later at The Substation. I was the Festival Manager during the 21st SGIFF in 2008, and Festival Director of the 22nd SGIFF in 2009. My passion for films in general and the desire to provide a platform for local and regional films to be showcased to a wider audience urged me to come back in 2014 for its 25th edition as Executive Director for SGIFF. I have been in this role since. It’s been an enriching experience seeing the festival grow over the years – from being an audience to running it – and it’s heartening to see the festival as a stepping stone to develop and groom so many filmmakers locally and regionally. What do you think is the role of the Executive Director in shaping a film festival? How do you approach your job as Executive Director? The role of the Executive Director is to continue to uphold the vision of the Festival as a champion for Southeast Asian cinema through its film selections and festival programmes and oversee the entire Festival. I work very closely with the Programme Director and the team in curating the programme line-up that challenges, excites and yet has enough entry points for new audiences. It’s important as a film festival located within Southeast Asia that we consider the needs of our regional talents in everything we do, and maintain our commitment to Southeast Asian cinema on a consistent level and not only when it is a trend. We’ve become a gathering point for such wonderful creative voices that it makes us believe that there are greater things in store for content from Southeast Asian. What do you think makes SGIFF different from other film festivals? How is SGIFF 2017 different from its previous editions? At SGIFF, we champion Southeast Asian cinema and talents. For a festival like ours, it is about finding an original voice, discovering new and emerging filmmakers and unearthing films that speak to audiences with a distinct expression. We also identify fresh approaches and innovation in the filmmaking industry. Ultimately, we want to deliver a quality line-up that is compact and focused. In our campaign videos this year, we paired up Southeast Asian filmmakers discussing cinema. This is the future for Southeast Asian independent cinema – a collaborative spirit that sees us pulling resources together and finding ways to continue to tell our stories through film. We also had a midnight section with four horror films for those who enjoy watching movies at night. We encouraged more people to try watching independent films by introducing a Film Starter Kit, where audiences can purchase four tickets to four different movies, out of the 10 SGIFF-recommended titles at S$32. That’s just $8 per film, and will be easy-to-watch. An example was a Singapore feature film hUSH, which features the experiences of a singer who left Bali to move to Jakarta in search of success. 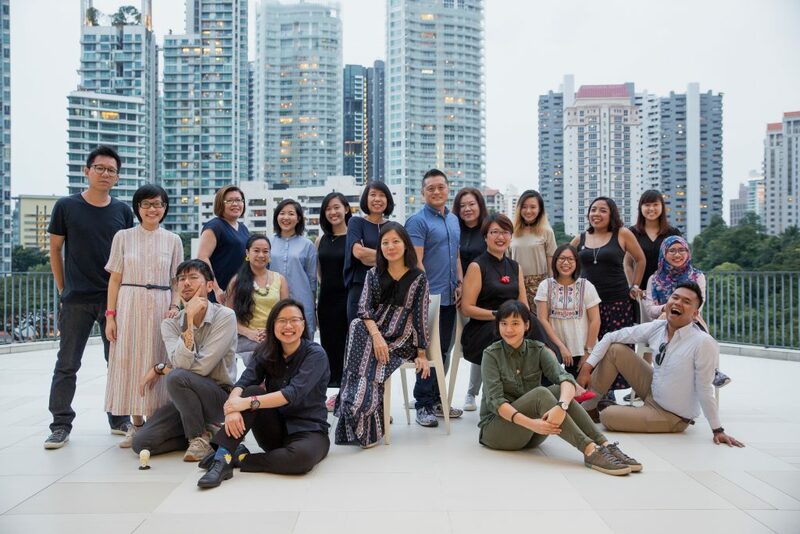 For individuals who wanted to find out more about the behind the scenes of filmmaking, we also introduced the first Southeast Asia Producers Network this year, where producers from the region gathered and shared insights about their work. How were the films in the non-competitive category chosen? Would you be able to tell us the rationale behind the choices? We opened for film submissions in May 2017, and from there, selected the film line-up. The storylines are important to us, as they can help connect the audiences to the films. We also looked at the presentation of the film, and how the filmmaker tells his story and messages. There should also be a good mix of film genres to cater to audiences with different preferences. 6 out of 8 films in competition were debut films by their directors. Is this a coincidence or is the festival focused on promoting works by first-time filmmakers? How are the feature and short films in competition shortlisted? The Silver Screen Awards is open to up-and-rising filmmakers who are presenting their first or second directorial debut. The feature and short films are selected based on how the filmmaker tells his/her story with both art and craft in mind. What are the criteria that the jury of SGIFF use for awarding the best feature film and best short film awards? We award films that provide a fresh and innovative perspective of the region, while seeking to challenge boundaries of themes and film-making techniques. The winning film must also be able to engage audiences emotionally and possess a clear directorial vision within the given medium or genre. In an interview to Straits Times, you mentioned that one of the challenges you faced when reviving the festival in 2014 after its brief hiatus was rebuilding the trust with the community and overseas filmmakers. How did you achieve this? I think the SGIFF has a strong resonance with the local and regional filmmakers as it has always been supportive towards providing a platform for these filmmakers to come together and showcase their works. Building a strong foundation, staying grounded and not getting lost in the so-called glamour of the film world has been very key to us. We’ve shown a lot of our commitment to the Singapore and Southeast Asian film community through our developmental programmes, and not swaying from our core objectives. Like all festivals, we have room to grow and we want to grow with our community. You also said, “different political situations in the countries surrounding us, film festivals in South-east Asia have come and gone, so we had to identify what kind of space we could occupy.” What do you think is the space that SGIFF occupies? Within the region, our Southeast Asian Short Film Competition and Southeast Asian Film Lab is something that is gaining good following among young filmmakers. In 2017, we introduced the Southeast Asian Producer’s Network that is a natural extension of the Film Lab. Developing writers and critics through our Youth Jury and Young Critics Programme has been important to us so that we gain deeper understanding of our own work as time goes by. We want to be able to continue to shine the spotlight on Southeast Asian cinema in a consistent manner, and create platforms for ideas exchange and mentorship. I’m motivated to continue to work hard so that we can do even more and improve in areas that we need to. Film festivals are hard work and we are always short handed and don’t want to have a burn out after a few years. It’s important for us to also train new festival staff in all areas including programming, marketing, business development, hospitality etc. People forget that a film festival is a live event where many things are happening at once. We need to train professionals and take care of them. That’s why it is important for us to also build a team of senior management and Board members who truly understand what we do and support the vision, and have the support of the film community. Is censorship a challenge that SGIFF faces? Have there been problems with choosing films with certain controversial themes? We respect the regulatory guidelines by the Info-Communications Media Development Authority (IMDA) that state that all films to be screened in Singapore need to go through a classifications process. Hence, we submit all films to be screened at the festival to IMDA for classification. From a film festival perspective, we believe that a film is a piece of artwork and should not be cut in any way. Hence, we will not screen a film that cannot be screened in its original entirety. As a film festival, we want to be able to take risks in our programming and support the works that we believe in. Could you tell us about the festival guide’s cover design? The tagline of the 2017 brand campaign is The Future Is. There is a sense of possibility, and forward-looking outlook, while we encourage audiences to own the festival. The use of bold neon colours for this year is also to allude to the boundless imagination and creativity that can result in the future of cinema. The circles represent light in its purest form, much like the place where imagination is kept alive and ideas are formed. We have worked with MAKE Design for several years now and our key art is representative of our philosophy and the core of the festival. If you had to recollect any one or two memorable incidents related to SGIFF which ones would it be? It could be as a viewer or as a member of the organizing committee or as the director. 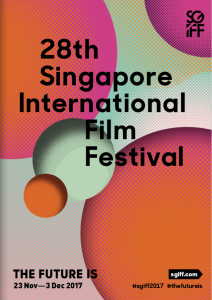 For all the overseas filmmakers that come to SGIFF, it’s really important to me that they have a chance to meet a filmmaker from Singapore and Southeast Asia, and not just pass through the city. When overseas guests interact with the local film community, they understand the state of cinema in that country and where it’s heading. The local film community is an important part of every film festival because the film community is the heart of it all, where the films come from and these are the people who will fight for the festival to stay alive during its hard times. Every year, and especially the years when SGIFF had the least resources, I’ve always seen the film community come out and help me put together the festival. They would be organizing the awards, doing airport pickups, shoot promo trailers, become cinema ushers etc. It’s really touching and that kind of thing stays with a person. It’s not something I take for granted because we all grow together. The state of our festival should reflect where we are in our cinema. One of the good things about film festivals is meeting people who’re passionate about cinema. Are there any specific people whom you cherish meeting and interacting with through SGIFF? One of my favorite parts of the festival is meeting all our competition filmmakers for both shorts and features. We spent the whole year watching all these films, and so getting to meet the filmmakers behind the film is a reward for us. I think it’s always heartwarming to see the SGIFF be a platform for filmmakers from Asia to come together to present their films, talk about cinema and to connect Southeast Asia cinema to the world. Through the Festival period, you meet film practitioners – from filmmakers, producers, actors – and through the honest conversations, ideas are exchanged and collaborations are made possible. There aren’t specific people that I can pinpoint whom I particularly liked meeting and interacting during SGIFF as I truly cherished every individual that I crossed paths with. Any specific films that you watched at the festival that stood out for you? We saw some exciting films from Iran and Georgia this time. I was interested to see how audiences take to films such as Scary Mother (Georgia), and Ajji (India) with very strong and powerful female protagonists. Denis Côté’s A Skin So Soft had its Asian premiere at SGIFF, a documentary exploring masculinity; Sweet Country (Australia) is also an extremely relevant film. From our Classics section, I was thrilled to present Secret Spies Never Die!, as we had the rare opportunity to speak to Brian Trenchard-Smith who directed The Man from Hong Kong, a classic that has remained a classic for a reason. Over the years, I’ve seen some special ones such as Happy Hour (Japan), Uncle Boonmee (Thailand). I’m also particularly proud of our commissioned short films The Pursuit Of A Happy Human Life by Gladys Ng and Nyi Ma Lay by Chiang Wei Liang. How do you find the response to the festival to be? What motivates you to keep going? The interest and pride in independent cinema is evidently growing steadily in recent years, and it was especially evident in 2017, with close to 14,000 people attending the Festival and 31 sold-out screenings – the highest since the Festival’s comeback in 2014. As the longest-running international film platform in Southeast Asia, this is something the Festival would like to continue to encourage and tap on by casting our outreach beyond the media and film community, but also to a new, younger generation, looking to discover and experience more. The Festival continues to do so through our festival initiatives such as the Southeast Asian Film Lab, Youth Jury & Critics Programme, masterclasses and talks with industry players and filmmakers. Through these interactions, we hope to have the buy-in from our younger audience and provides them with a platform to better appreciate films. The hope to continue championing film talent and cinema of the region, and to be that internationally-recognised platform for the discovery of Southeast Asian independent cinema are some aspects that keep me and the Festival going. What are your plans for SGIFF, from here on? Connecting with new audiences, reconnecting with old ones, and bringing the film industry across Southeast Asia together in a meaningful way, are what we hope to achieve. We want to continue to deliver a rich experience where filmmakers from the region come together to expand the conversation on filmmaking and exchange ideas. We want to facilitate a more robust and in-depth discussion around films, and in turn encourage thought-provoking and deep exchanges. 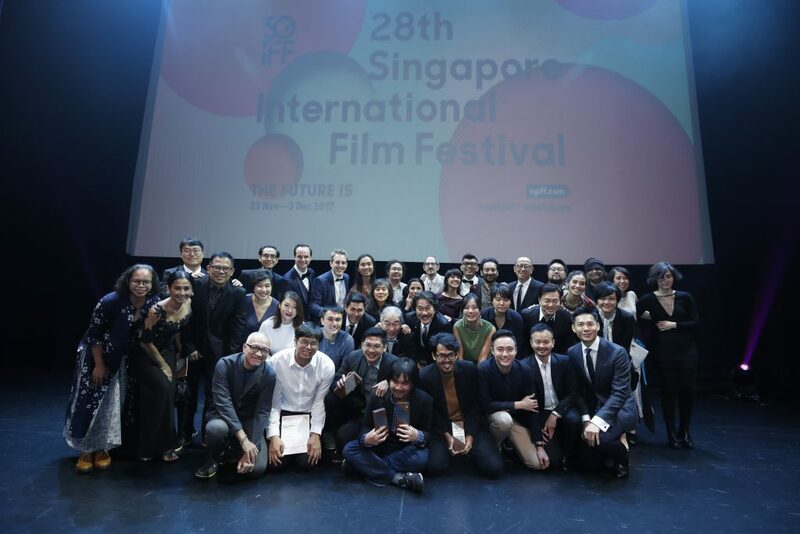 We believe that we will continue to play the role of a catalyst in the development of the film industry in Singapore and the region as we bring new discoveries in independent film to cinematic cultures in Asia. Do you have a favourite international film festival? What do you like about it? I think every international film festival is unique in its own way, as they welcome filmmakers from different parts of the world and their works. Each festival provides a different experience for its audiences. For example, I love how the city embraces all things cinema at the Berlin Film Festival; the energy of the audience at the Busan International Film Festival; the great love for short films at the Clermont-Ferrand International Short Film Festival; the intellectual exchanges at the Taipei Film Festival. Film festivals around the world are very friendly in terms of helping each other out especially when it comes to sharing resources. In that common love for cinema, we all strive to do more through collaborations and partnerships. You founded the Fly By Night Video challenge together with Tan Pin Pin. One of our magazine’s editors participated in this challenge a few years ago and loved the experience! We’re curious to know how the idea for this challenge was sparked and how it came to fruition. Pin Pin approached me with this idea of doing a 48-hour video challenge for short films to be made under a creative environment. We were the first in Singapore to do it and with so little resources. We were really fortunate to have Objectifs start to organize it with us. Within the first few years, we even had people coming from Malaysia to take part. Several filmmakers we know today have come out of our Fly By Night Video Challenge and are proud alumni. We’ve seen very clear results in the ten years we have invested. You were the co-producer of Anthony Chen’s Ilo Ilo, which went on to win the Camera D’or at Cannes. How did you get involved in the project? Were you involved with taking the movie to Cannes? If yes, how was your experience? Anthony Chen is the kind of director that allows very meaningful collaboration and talks through everything. I have known him since his student short films and Objectifs Film was representing Ah Ma, his short film. He has immense talent. We wanted to get a sales agent that was the right fit for the film and agreed on memento films. After that, everything moved really quickly starting with the selection of the film at Cannes’ Director’s Fortnight and then winning the Camera D’or prize which opened many doors for the film. You have also edited a book Behind the Camera. How was this book conceived? What do you think makes it pertinent? The book was published independently under Objectifs and with the help of designer Kelley Cheng, we were able to complete the physical copy of the book. At that time it was hard to find any books that had information on contemporary Singapore filmmakers and film professionals. It was a personal project that hopefully will do its part in some small way. In the book, Lesley Ho says that in order for a film festival to attract larger audiences it has to strike a balance between screening arthouse and more commercially viable films. Does the festival use this approach to selecting films? How? We’re a mid to small size festival so we have to be really selective. For SGIFF we look at individual films and also consider the overall feel of the final presentation of the festival. There are a lot of films that don’t get distribution in Singapore and if they do, it’s such limited releases that we feel we still have a part to play in building that audience for independent films, auteur-driven work and also films from Southeast Asia. In the book, Toh Hun Ping has written a beautiful piece on the screening spaces of SGIFF and their histories. Do you have any personal favourite screening spaces – preferably one in Singapore and one outside of Singapore? What do you like about them? What is a marked difference between the two? SPOT Taipei Film House which was started by Taiwanese director Hou Hsiao-Hsien, The Arsenal in Berlin, House RCA and The Capitol in Singapore – they are all different in sizes, the kind of space it is, but somehow have managed to create a great energy when the lights dim and the films are playing. We’re so pleased to hear that you’ve seen the book. Anyone interested can contact us through our website and we’re able to facilitate the book sale. All images have been provided by Ms. Wahyuni Hadi’s team. They may not be reproduced without permission.